Thanksgiving is the original American holiday. When the Pilgrims sat down to give thanks for the hard-won bounty of their new world, they continued a Native American tradition that would become a focal point in the calendar of all generations of Americans to come. The author relates this holiday to the harvest festivals celebrated by thankful believers of many faiths all over the globe. 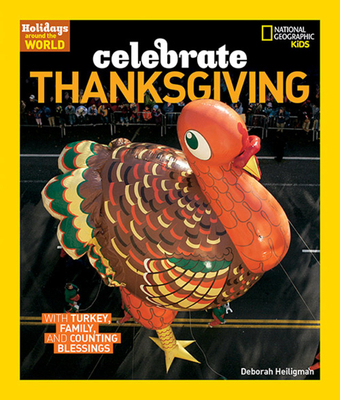 The book's stunning pictures show the celebration in its historical and cultural aspects, and the back matter contains a delicious Thanksgiving recipe, a glossary, and a useful list of holiday references and resources. Dr. Elizabeth Pleck gives readers, parents, and teachers an historical and cultural background to this unique American tradition in her informative note. Deborah Heiligman is the award-winning author of 15 children's books. She specializes in simplifying complex subjects for young people, particularly in the areas of science and social studies. She lives in New York City.